Think of the women leaders in Madison. Now imagine them draped like a classical sculpture and gesturing ever forward. This is what artists Brenda Baker and Bird Ross envisioned when they were invited to create an art piece for “The Capitol at 100: Madison Artists Celebrate the Centennial.” The exhibition, supported by MCF’s 75th anniversary grant project “Capitol Century,” highlighted the new works of 15 artists using a variety of media to comment on the history, architecture, and cultural symbolism of the Capitol building and surrounding grounds. Inspired by the story of Miss Forward, Brenda Baker and Bird Ross are creating artwork (above) to honor her and an endowment fund to support women artists well into the future. Baker and Ross took their inspiration from artist Jean Pond Miner, who sculpted the Miss Forward statue at the State Street corner of the Capitol. Her work was 100-percent funded by women in 1893, then refurbished in the 20th century by another group of women philanthropists. Baker and Ross decided that their artwork, "Being Forward," should be not only a celebration of women artists, but also result in a permanent fund supporting women artists. The two artists began to collaborate with a team of local donors to build a $300,000 permanent endowment, called the Women Artists Forward Fund, that each year will provide a cash award to two women artists—both an emerging artist and an established artist. This wonderful combination of art and philanthropy will have a major effect on our local arts community in perpetuity. 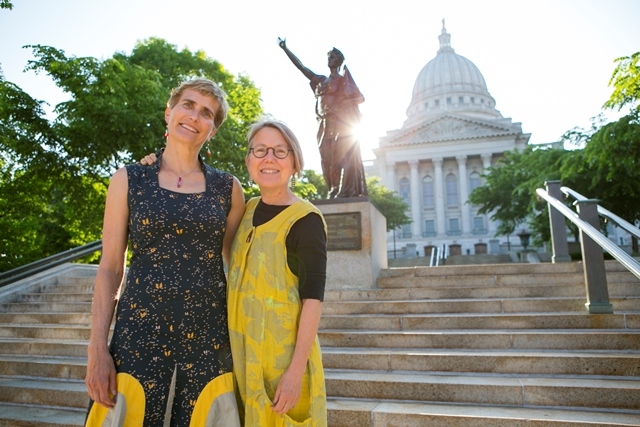 Meanwhile, "Being Forward" now includes over 150 photographs of Madison women artists and art supporters posing as the iconic Ms. Forward as seen on the Capitol grounds since she was first installed in 1895. The work will be exhibited August 1-31, 2018, at the UW-Madison School of Education Gallery, 1000 Bascom Mall. 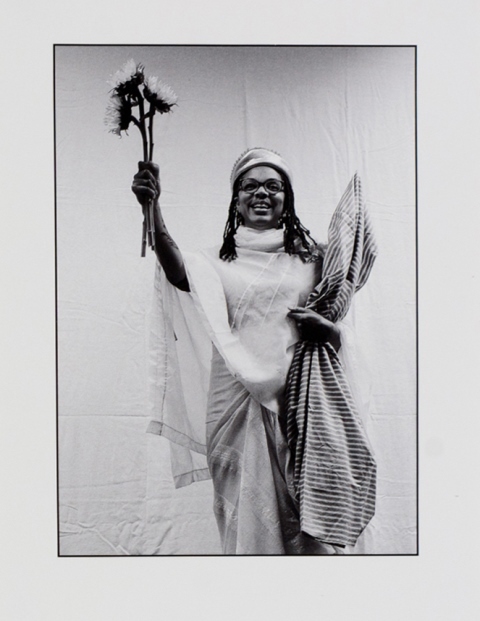 A companion website to promote the work and the endowment fund will launch soon at womenartistsforwardfund.org.